Active in more than 50 countries, Bugaboo already had a professional e-commerce solution before migrating to Intershop. Unfortunately, the old platform offered limited options for showcasing this cool brand and its high-end strollers and luggage systems. The Dutch company has now moved to a powerful e-commerce platform based on Intershop. The new online presence is a seamless blend of website and store. It also includes a product configurator, which allows customers to individually design their own stroller and get it straight into their cart. The new e-commerce environment went live in 2014 in 53 countries and offers an interactive brand experience. Bugaboo manages content in 70 different languages for its various country-specific shops. 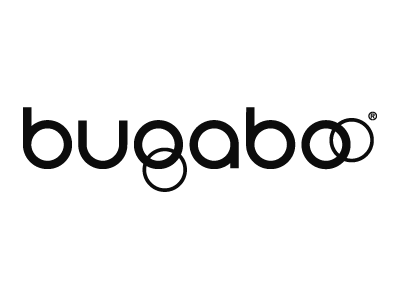 Founded shortly before the millennium, Bugaboo is now an iconic global brand among young parents. Create a centrally managed e-commerce platform as a blueprint for more than 50 local web stores. Provide the flexibility to integrate local fulfillment partners, localize product catalogs, and implement targeted, country-specific marketing campaigns. Enable custom integration of Liferay storefront components plus an API-based service layer and custom content management system (CMS). Intershop Commerce Management 7 serves as a central platform that links storefont, CMS, and service layer. The solution is hosted in the cloud for maximum flexibility, availability, and scalability. All payment operations are processed through the Intershop solution. Better brand recognition for Bugaboo and more sales per visitor thanks to a new and simplified checkout process with intuitive navigation. Product configurator for the perfect stroller: customers can choose their own combination of design, chassis, colors, and accessories. In some countries, customers can buy direct from the new website. In others, it serves as an interactive store window that guides customers to their nearest retailer.